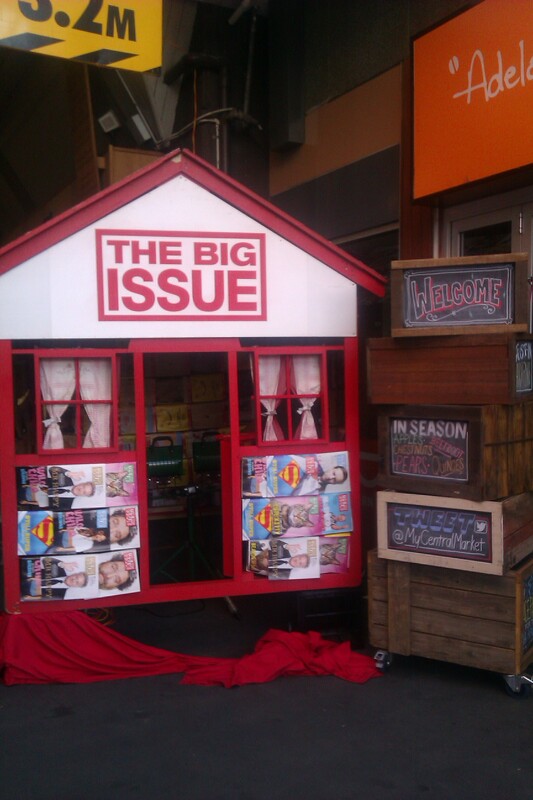 Most of you know one of my favourite organisations is The Big Issue. People with dementia who are homeless are also a very marginalised group, as they don’t have the funding for health care, and the public sector is a much slower pathway to diagnosis for them than most others. This morning I watched a short segment of the Today Show by Lisa Wilkinson on Channel 9 about The Big Issue The Women’s Subscription Enterprise. As always I get a lump in my throat and tears in my eyes when I read or hear about how many homeless people there are in Australia, and in particular homeless women and children. It is hard to believe there are almost 50,000 homeless women in Australia, many of them with children. These women and children are barely visible as the majority of women who have become homeless have done so because of domestic violence, and so living on the streets, in sight, is not an option. Where do they go I wonder? I imagine they are sleeping in cars, if they have one, or hiding in women’s shelters and hostels? Standing on a street corner selling a magazine is also not an option for most women, so for every 100 Big Issue Magazine subscriptions, one woman will be given a job. If you have a spare $AU12.50 per month, then please consider subscribing to The Big Issue magazine. Alternately, purchase one for $6.00 from a vendor in your neighbourhood. Each vendor makes a profit of $3.00, less than the cost of a cup of Latte. So much money is donated by Australians to overseas charities, and yet there are so many needy people in our own country. Personally, I love to try to support people in my own country, and especially love the empowering philosophies of The Big Issue, ‘A hand up, not a hand out’, and ‘Helping people help themselves’. So sad to think in possibly the richest western country in the world, we are willing to give homes to thousands of people from overseas, and yet not support our own… it seems a double standard to me.